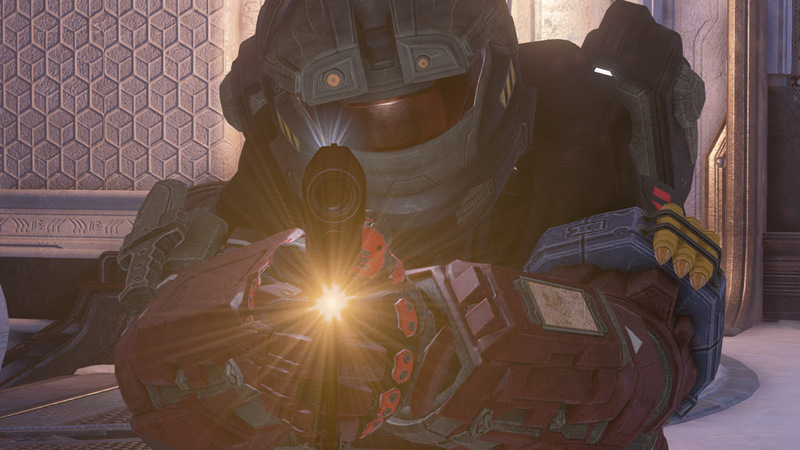 Welcome back to a new installment of the Halo Community Update. It’s been an exciting and eventful past few weeks, and we’ve got a few things to catch up on. Let’s do just that. Since we last spoke, Anvil’s Legacy has dropped, Halo 5: Forge for Windows 10 is here, and the Halo App is your new home for all things Halo on PC. We hope you’re enjoying everything so far, and you can check out the dedicated landing page for more info and patch notes (scroll down for those). Also, we hadn’t included them in patch notes right away, but Wheelman Assists and Theater Fast Forward both received fixes in this update, and you can also save your stance rotation under Spartan ID. 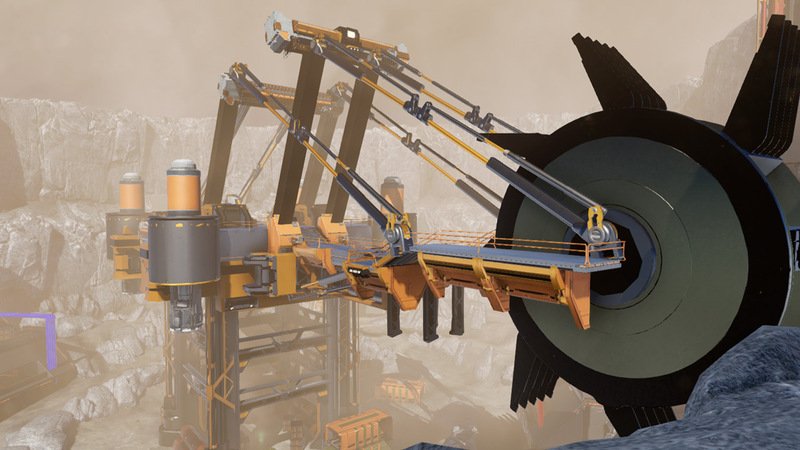 Over the past few weeks, many of you have been thinking to yourselves (out loud, on the internet) “Gee, I’d really love to play on some new Big Team Battle maps.” We hear you, and we’re right there with you. It’s time to spruce things up a bit. 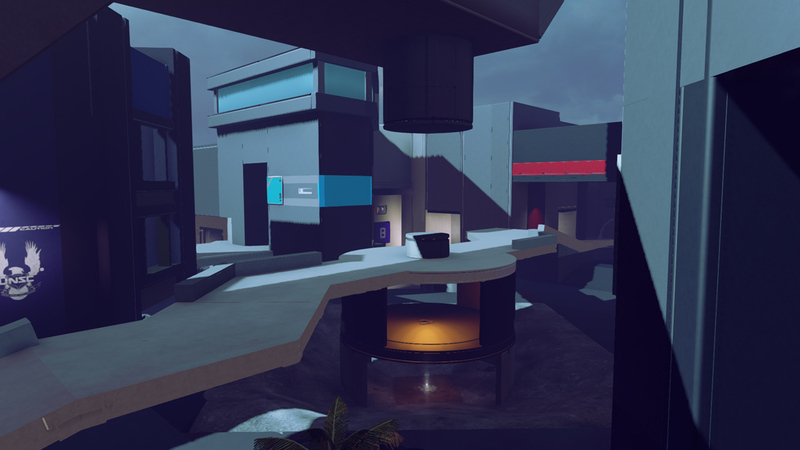 Earleir today, the latest BTB refresh hit matchmaking, and it brings with it both new and updated maps. 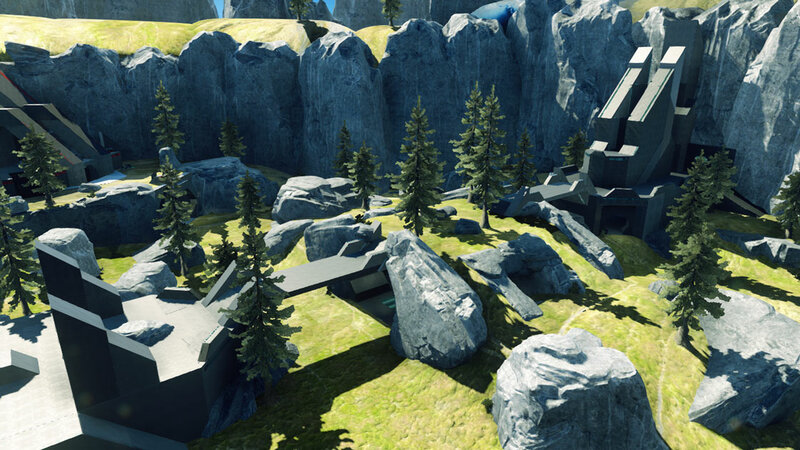 Here’s a quick look at the new maps, andbe sure to head here to read more about all maps, the process, and more. 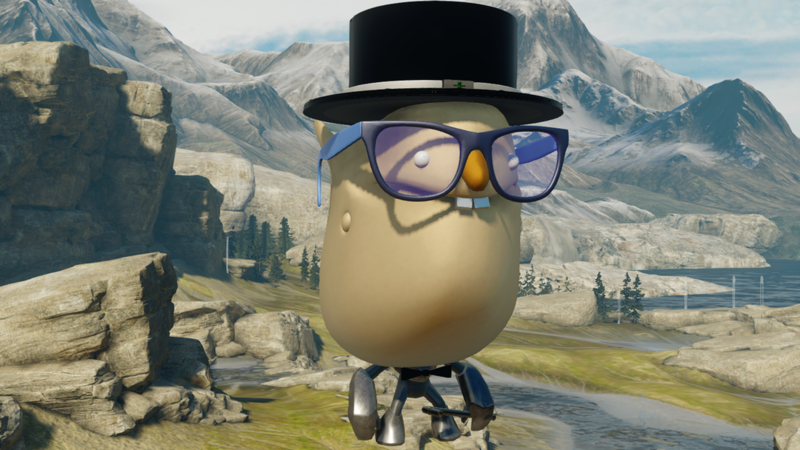 Special thanks to HaloCustoms, Creative Force, BigTeamBattle.net, and ForgeHub for all of their creative community contributions to ensure that matchmaking is packed with the finest Forge findings. 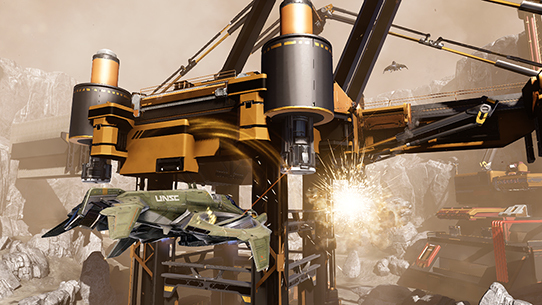 Since the beginning of Halo 5 development, the team has been making decisions to ensure that important features are built from scratch to be better than ever, and also built to become more powerful than you can possibly imagine in the future. Halo 5's Forge and Content Browser are two fine examples of this philosophy. Here’s Vincent Hui with more. "We hope you’re enjoying the Content Browser that released with Anvil’s Legacy on Xbox One and PC. The community response towards prefabs, screenshots, and finding new games to play has been overwhelming. We know this is a core feature that is arriving many months after launch, and we’re very grateful for your patience and support. On behalf of the team, I’d like to apologize for the delay and explain why. A “File Browser” for Halo 5: Guardians was originally going to ship with an earlier Halo 5 update, but I cut it at the last moment. We’d based it off the browser from past Halos, but the end result just wasn’t good enough. It required lots of button presses to open, and had limited functionality. We knew The Forge team’s vision for Forge was very powerful, and we wanted everyone to be able to easily find this great content. This didn’t meet that goal, so the team released a smaller File Share feature, and set out to build one that would. 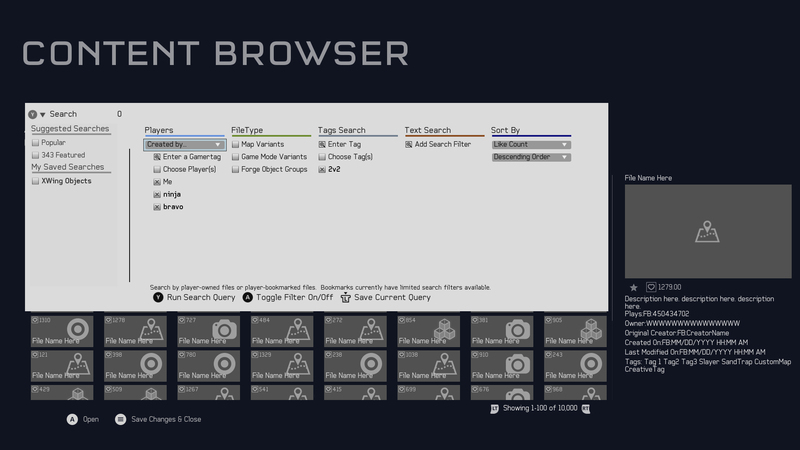 The end result is that you can open the Content Browser from the main menu, any player’s profile, in Forge, or right in a Custom Game lobby. Finding content is now easier than ever, letting you customize your results and save searches. Moving forward, the browser framework is built to add new filters and features for things that don’t even exist yet. 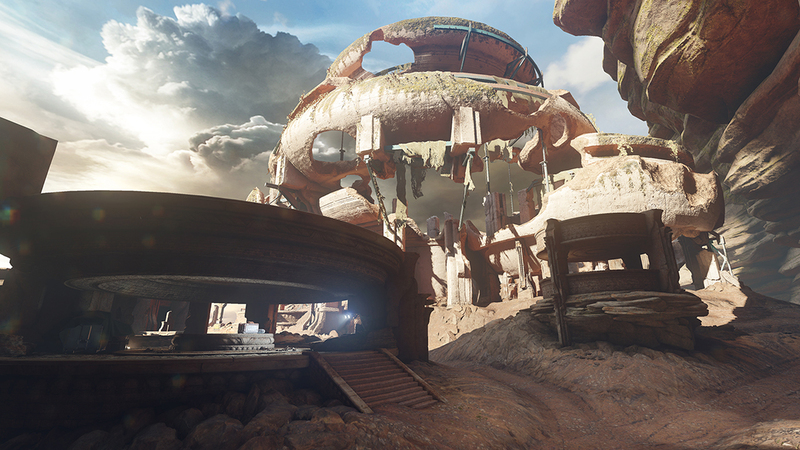 Now if only there was some way to find a Custom Game to join…"
Temple, the newest Warzone Assault map, launched last week with Anvil’s Legacy, and we know many of you have been digging the look of the battleground. This week, I sat down with Mattias Kylen to get the lowdown on how the art style was developed for the map. His early painting really set the tone for our colors, shapes and material application, having the red dirt dominate the low space and introduce a pale green up high. 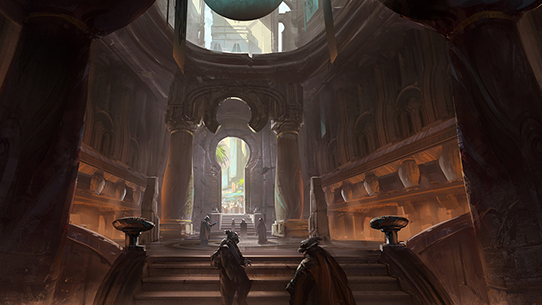 The main effort for this map, the Temple itself, is a contrast of the centerpiece from Attack on Sanctum. Temple was imagined as being a free standing ruin exposed to the elements, rather than being sheltered. The human-made structures that reinforced the ancient ruin structure helped us with not only the story telling elements, but also gave us great proportion reference, color accents, and a striking silhouette against the sky. In order to understand the history of the Sangheli ruins, we first built most of the structure intact, then we developed the ruins based off that. The concept for the temple also reflects how we approached constructing the 3D model. Verticality was a big pillar as well. 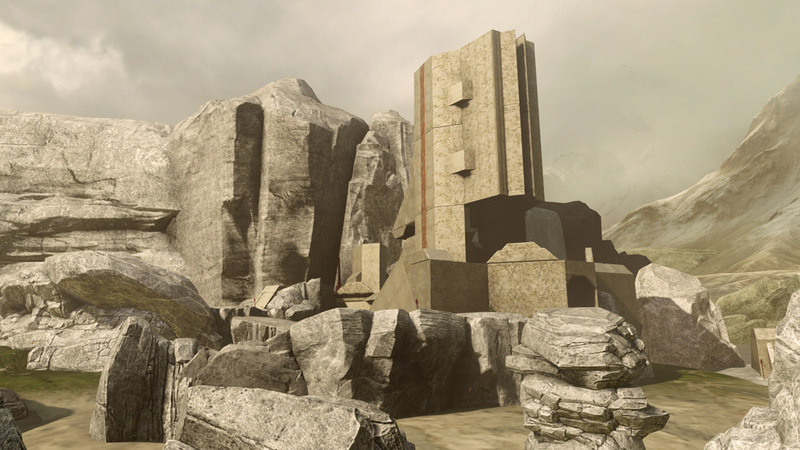 We used both landscape and architectural features to encourage Spartan abilities as well as give an interesting experience for both attacking and defending players. 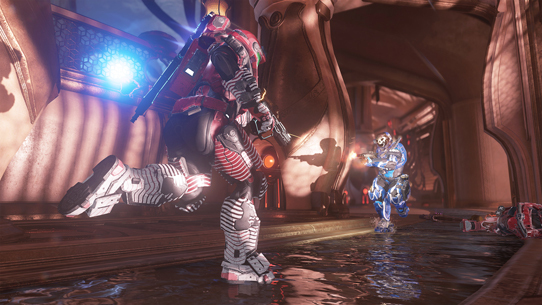 Temple is available in the Warzone Assault playlist, and is currently extra-weighted to ensure that it pops up a bit more often. Jump in! Prefabs are here. They are Forge Object Groups that you can share between maps, and I daresay they are fantastic. Tons of you are creating amazing pieces – from big to small, serious to ridiculous, and incredibly useful and functional to not useful whatsoever – but still amazing. I have been digging through page after page of “most liked” prefabs, and there is some incredible stuff hiding in there. You should check them out now, and like & bookmark your favorites (reallyhelpsmeout). 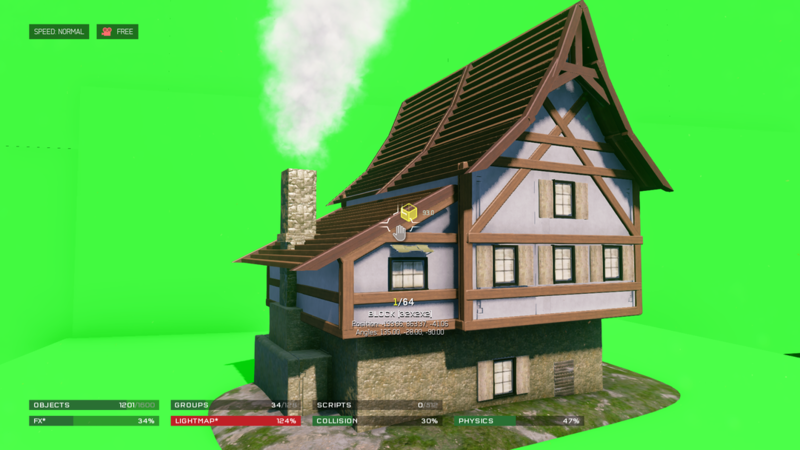 So impressed I was, that I went around the studio and asked some of the team what their favorite prefabs were. Bunkers! Towers! Old Forge remakes. It's pretty great. The sets; Victorian structures. Facades. Doors. The doors are great. Lastly, I love seeing all the cool screenshots. The use of the Chromas to accent them is slick! It's amazing how much cool stuff is in there." “Is that Manning face a prefab? That one gets my vote." "I’ve gotta go with Noble Forger’s entire line of Medieval House prefabs." "I’ll keep it simple and nostalgic. 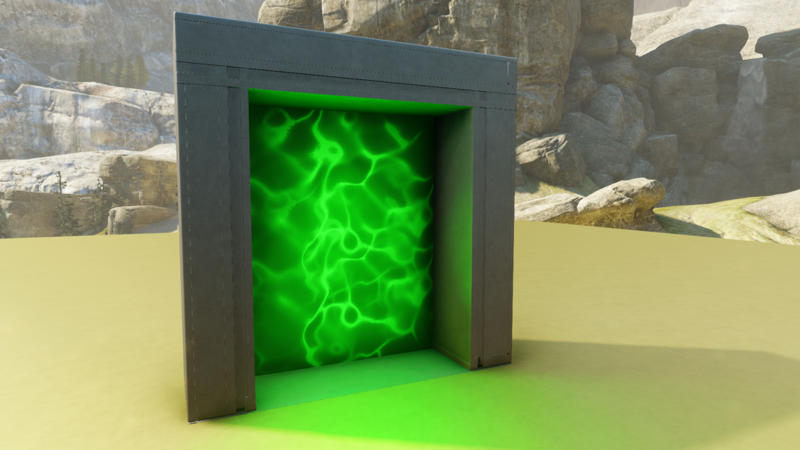 Halo: CE teleporter from The Grim Dealer is my pick." Lastly, we need to take a moment to spotlight tomtehtom’s incredible sofas and furniture series, which I happened to stumble upon earlier this week. These Forge sofas look more like sofas than sofas do. 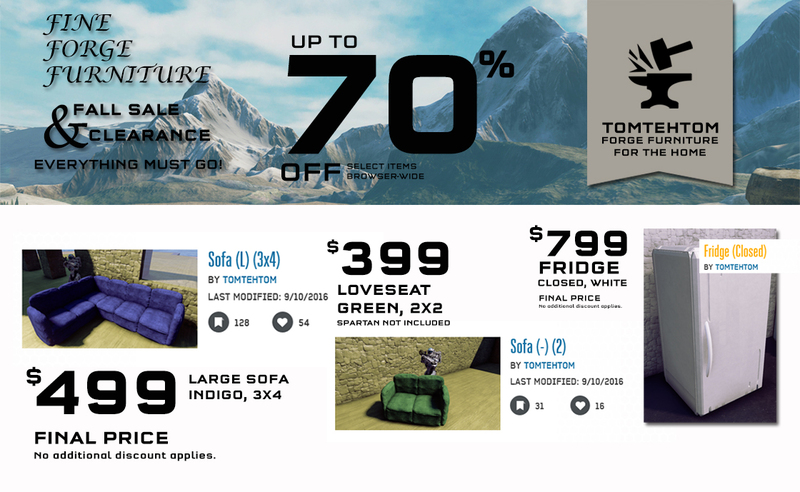 We love them so much, we found the most amateur graphic artist in the studio to make a furniture ad for you, tomtehtom. Check out the full collection here. 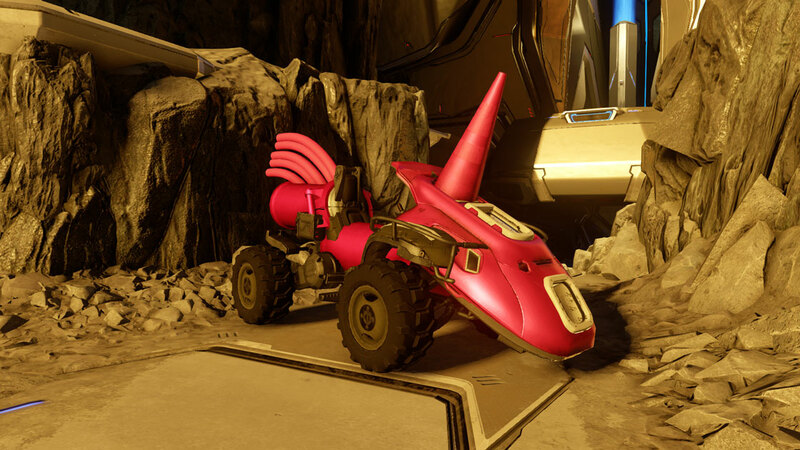 It’s been a bit since we last met on Community Update turf, but with good reason; last week we hit the airwaves with the Anvil’s Legacy Livestream, detailing all the delectable goodies that came packaged within (and without) Halo 5’s latest free content release. Before that, we were in full-swing event mode for one of our favorite times of the year: PAX Pri- err, West. Halo hit the PAX show floor on multiple fronts, with players getting their first hands-on experience with the then-unreleased map Mercy via some epic FFA action at the Razer booth. On the other side of the 4th floor, you queued up on the cushy carpet of the Xbox Booth for some hot and heavy Halo Wars 2 action via 3v3 Strongholds. The best part of it all though, was getting the chance to spend some quality time with so many of you. Whether it was on the show floor itself, out at events around Seattle, or with those of you who stopped by the studio itself to say hello, our favorite part of things like this is getting in as much community quality time as possible. We hope to see you again soon. Easily the biggest story of Week 1 of the Fall 2016 Season is the new Evil Geniuses squad taking down the reborn OpTic Gaming. EG pulled off a convincing 3-1 win, and finished off their Pro League opening week 2-0, following their victory over Allegiance on Wednesday. Although this is only Week 1, it’s a big step forward for EG and signals that their roster changes may have paid off, as Ninja and Victory X’s playstyles seem to be the perfect mix with the RoyBox duo. This squad still has much to prove, but has certainly put themselves into a comfortable position in the standings. On the other side, the new OpTic Gaming roster has been put to the test, and all eyes have fallen on them for a different reason. Their loss to EG will definitely spark a renewed fire, and you’ll no doubt see this squad putting in the extra time to retain their dominance we have seen since the release of Halo 5: Guardians. Elsewhere, it seems that Naded’s break from the HCS Pro League Summer Season is just what he needed to return to competition at full force. Luminosity is currently 2-0 after Week 1’s matches, and is looking strong with eL TowN and Naded reuniting after their incredible run at HWC 2016. This team has the potential to go far, but we’ll see how they match up against the playstyles of higher seeded teams Enigma6 and Team EnVyUs in Week2. As you may have heard, we recently announced that we had partnered with our friends at Turn 10 and Playground Games to bring Halo’s iconic Warthog to Forza Horizon 3! 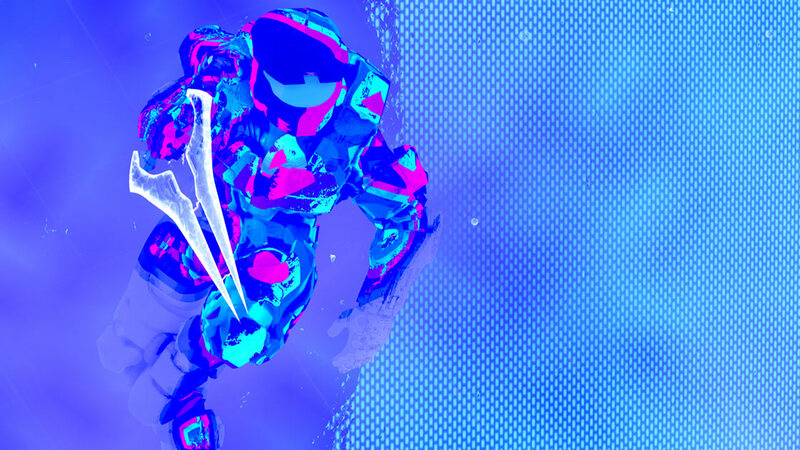 Come September 27, Halo players will be able to pound their personalized puma through an array of diverse destinations across Australia. Why do I specifically call out Halo players, you may ask? Because when Forza Horizon 3 launches, the only way to house their own Hog will be to have played Halo 5 or Halo: The Master Chief Collection – codes to redeem your own sweet sci-fi ride have already started making their way out to eligible participants, so make sure you keep an eye on your Xbox Live Messages. Not far away from where we’re writing this, our Consumer Products team has been hard at work pulling together an ever-impressive array of Halo goodness for folks to wear, read, collect, or play with. No matter what your persuasion, there’s something for just about every flavor of fan. Some of my personal favorites include the awesome new BOOMco. Halo UNSC MA5 Blaster (even when it’s used against me), and the ridiculously cool Mega Bloks Covenant Spirit Dropship set. I mean, just look at it. On the fiction front, we’ve got lots going on these days, starting with the recent (US) release of Halo Mythos: A Guide to the Story of Halo. We’ve been incredibly excited to hear all the reactions from fans to the new book, and can’t wait to see what discussion begin to pop up as more and more folks start to get their hands on it across the globe. 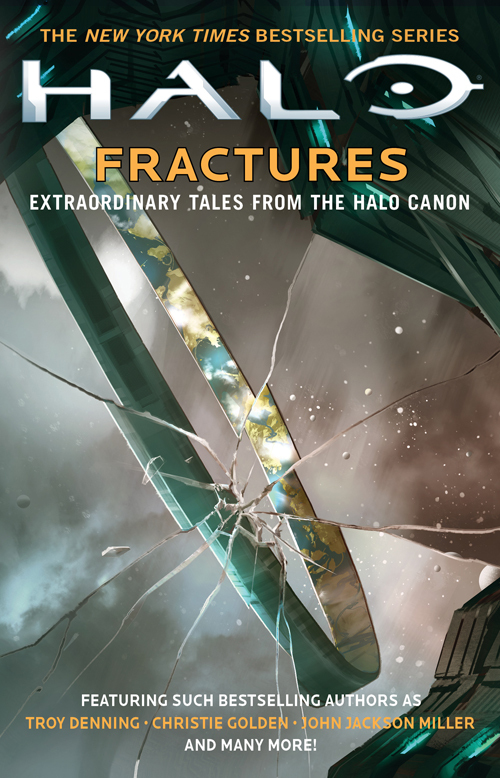 But Mythos isn’t all we’ve got going on – next week on September 20, the newest Halo short story anthology, Halo: Fractures, hits store shelves and digital reader drives. The new anthology collects tales from all over the Halo canon, including some that focus on both fan-favorite settings and characters. To get you ready for the upcoming release, we thought it would be fun to set the table for where each story takes place, as well as get a few thoughts from the authors that were involved. This story begins on March 29, 2554, more than one year after the end of the Covenant War (Halo 3)—a thirty-year struggle for humanity’s survival waged across its embattled colonies— and the subsequent activation of the SPARTAN-IV program, which would eventually undergird the United Nations Space Command’s fledgling Spartan branch (Halo: Initiation). This story takes place immediately following the mysterious and tragic events that transpired in Halo 5: Guardians on the glassed colony of Meridian—a world that had fallen after a series of unrelenting Covenant attacks that stretched from 2548 to 2551 (Halo 2: Anniversary era), shortly before the end of the war. This story takes place in 2553, during the harrowing final days and aftermath of the Covenant War (Halo 3 era). This story takes place at the close of recorded Forerunner history, during the events that followed the destruction of the Forerunner capital world by the rogue artificial intelligence Mendicant Bias (Halo: Cryptum) and the subsequent activation of the Halo Array to end the centuries-long war with the extragalactic parasite known as the Flood (Halo: Silentium). This story takes place in 2553 following the Great Schism, a sudden and violent civil war within the Covenant alliance (Halo 2: Anniversary), and in the wake of the thirty-year-long Covenant campaign against mankind (Halo 3). 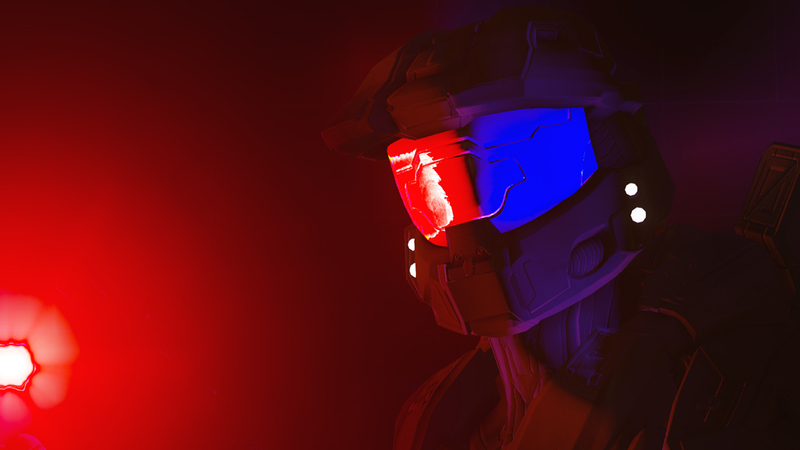 “I have a list of Halo stories I never got a chance to tell. And at the top of this list has long been: Whatever happened to the Shipmaster aka the Half Jaw aka Rtas ‘Vadum? Homer’s Odyssey is one of my favorite tales, and I always imagined that Rtas’s fate after Halo 3 might be a little like Odysseus's after the Trojan War. Which is to say: What if our war-weary Half Jaw hero only got a brief glimpse of Sanghelios before he was carried away by the winds of some new crisis? How would Rtas 'Vadum find a new way home? 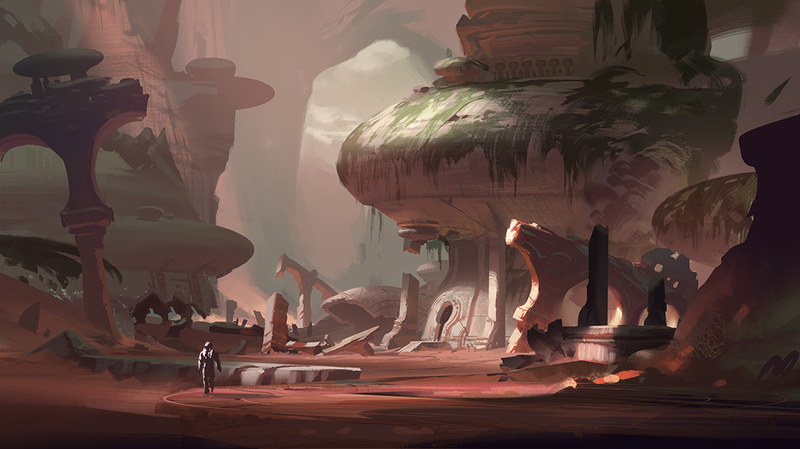 Fun fact: The Ballad of Hamish Beamish features art from ridiculously talented concept artist – and huge Halo fan – Garrett Post. This story takes place near the end of the Forerunners’ three-hundred-year war with the Flood, a little more than 100,000 years BCE (Halo: Cryptum, Halo: Silentium). This story takes place three months after the United Nations Space Command’s extraction of the 717th research battalion by the elite Spartan Blue Team from the volatile and besieged colony of Gao (Halo: Last Light). This story takes place four years after the end of the Covenant’s brutal and costly rampage across human-occupied space (Halo 3 era) and Kilo-Five’s brief mission on Venezia, culminating in the destruction of the highly-sought-after Covenant battle cruiser Pious Inquisitor (Halo: Mortal Dictata). This story takes place on January 17, 2558, five years after Operation: BLOWBACK involving the specialized military artificial intelligence Iona (Halo: Bloodline), and six months after the pyrrhic destruction of Cortana in order to stop a significant and immediate threat against Earth (Halo 4). This story takes place in October 2558, during the resurrection of ominous and powerful Forerunner Guardian constructs across several populated worlds (Halo 5: Guardians). “As the first official piece of post-Halo 5 story, I wanted to focus on some of our secondary characters in the Halo Universe to see how Cortana's actions were affecting them. What happens when absolutely everything you knew about the world this morning has changed by the time you go to bed? How the hell does someone cope with that? Also, Osman and BB are two of my favorite extended lore characters, so I thought it would be great to spend some time with them to find out if anyone but Roland refused Cortana’s siren call and why. This story takes place in July 2558, five years after the Covenant War came to a sudden conclusion (Halo 3 era) and a year after the shocking and deadly attack on Earth by the Forerunner commander known as the Didact (Halo 4). This story takes place in March 2556, three years after the end of the Covenant War (Halo 3 era) and one year after FAR STORM, a joint military operation between humans and their former Sangheili enemies in order to secure the remote and mysterious Forerunner installation known as the Ark (Halo: Hunters in the Dark). *Kevin was unavailable to provide us with his thoughts on his story in Fractures, but we’re almost positive that this would have been exactly what he’d say. And that will do it for yours truly this week. 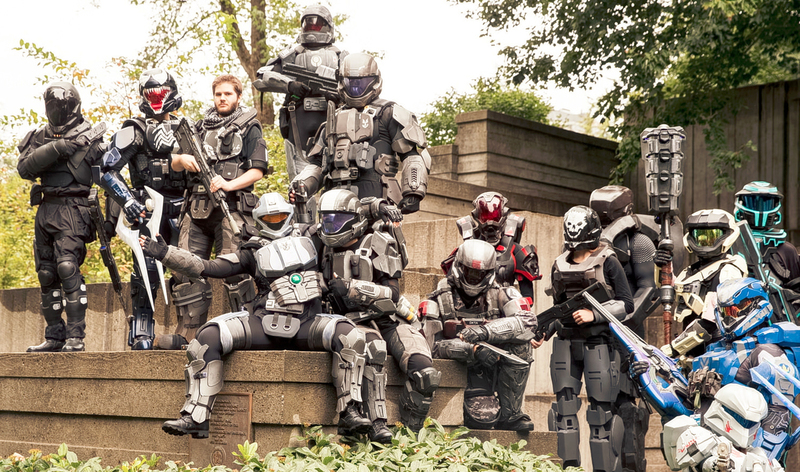 Until next time… Live well, play Halo, and don’t forget to read the coda. For this week’s spotlight, we’re changing things up and taking a look at some screenshots from MB AngelOfDeath and BrandonWinn. This week, we’re looking a clutch stop in Fathom CTF from Yoojbot. The score is 2-2, and danger is imminent. Watch it here. That’ll do for this week, friends. We’ll be back again soon. Greetings, friends. We’ve got a quick Community Update this week, but one that we hope still serves as an essential pit stop for all your Halo ponderings and insatiable interests. Over the past few weeks, we’ve been keeping an eye on your findings since Anvil’s Legacy, Halo 5: Forge, and the Halo app dropped. Welcome, friends, to the Anvil’s Legacy Preview. 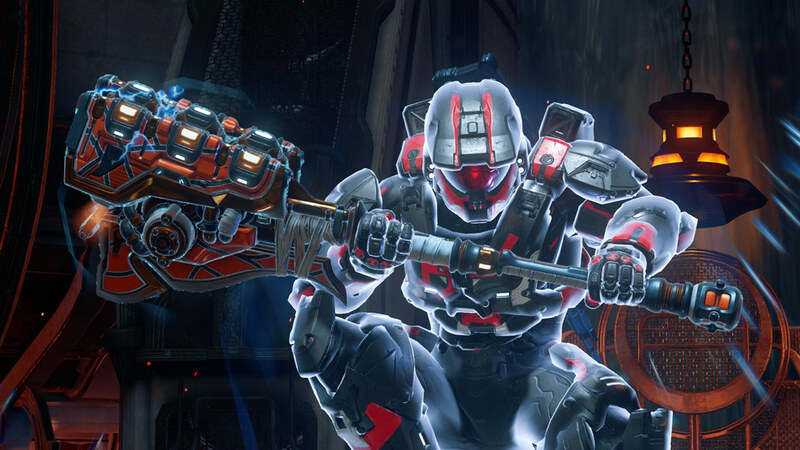 Today, we’re talking all about Halo 5’s newest upcoming drop, and plenty more. Let us waste no time. Here we go. Today, we’re talking gamescom and Halo Wars 2, getting a small look at what’s ahead for Halo 5, and plenty more. Welcome to this week’s Community Update! As we’ve mentioned over the past few weeks, there’s quite a bit in the works, and I’m happy to say that I’ve begged, borrowed, and stolen my way into being able to reveal a few Halo 5 sneak peeks this week. There are a few things I’m particularly excited about, and several more that we’ll be showing off quite soon.